"Life is Beautiful" - an amazing movie that had me crying with literally tears streaming down my face. I don't recall any other movie so intensely stirring my emotions. I won't reveal the plot to spoil the fun of watching for those who are yet to watch it. The movie is fun throughout with an unexpected ending and that may be why the closure gives a shock. 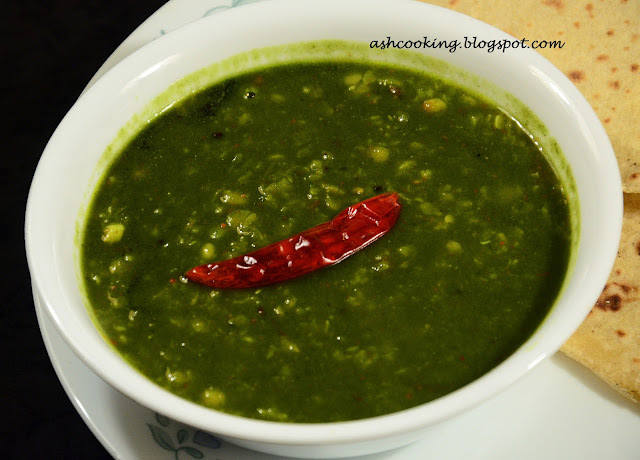 Dal Palak is quite a flexible recipe where palak is sacrosanct nevertheless. But other than that, you may tweak the type of lentil you use and the spices according to your liking and palate. I usually concoct dal palak with toor dal, but sometimes I use only moong lentil or mix both toor and moong in equal proportions thus adding variety to the same boring preparation. 1) In a pressure cooker, pressure cook toor dal and moong lentil upto 1 whistle. Keep in mind the lentil should be cooked but the grains should be separate. Turn off the flame and bring the pressure cooker to room temperature before removing the lid. 2) Heat oil in a wok and fry the spinach leaves and green chillies together. When spinach wilts in volume, turn off the heat and grind them together into fine puree like consistency. Set it aside. 3) Into the same wok, add some more oil and heat it to a smoking point. Then add dry red chillies, cumin seeds, methi seeds, hing powder and black mustard seeds. When they begin to sizzle, add the chopped garlic. Shallow fry till garlic changes color. Add onions and fry till translucent. 4) Add tomatoes, dry red chilli powder, turmeric powder and cumin powder. Sauté for few minutes till tomatoes soften and the ingredients assimilate. 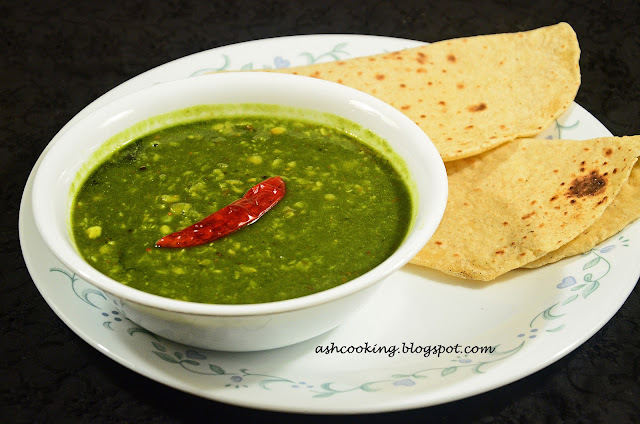 5) Pour the spinach puree into the wok and cook for 3 minutes uncovered, stirring once in a while. 6) Pour the cooked lentils into the wok now. Add water if you need to thin down the consistency or else leave it as it is. Stir around and simmer away the dal for some time. 7) Finally before turning the heat off, sprinkle garam masala powder on top. Mix in. 8) Serve hot with rice, roti or chapati.